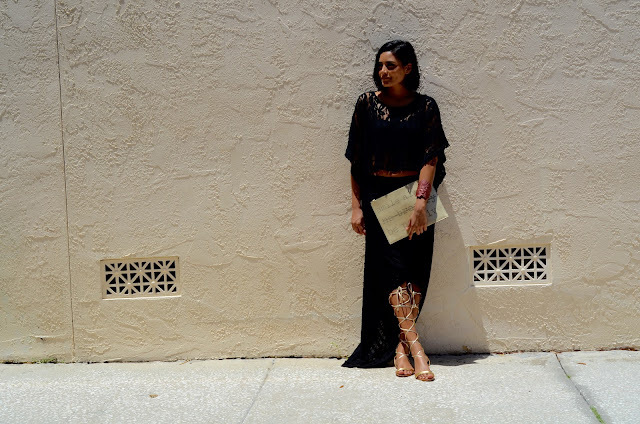 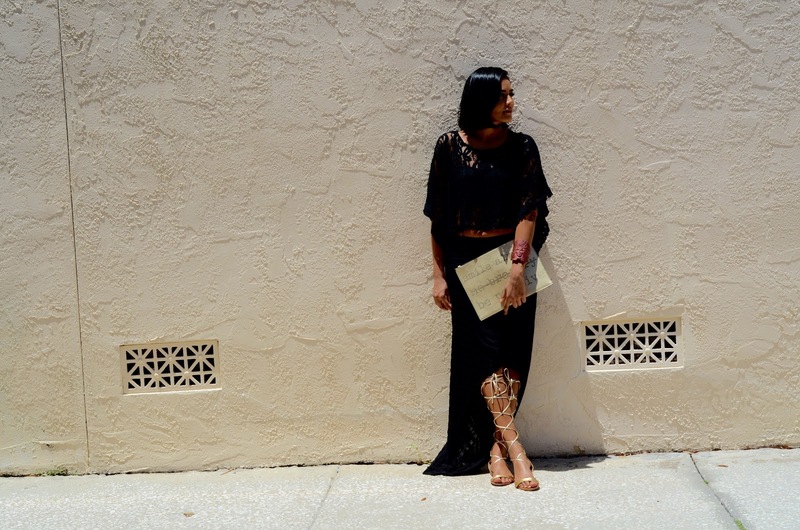 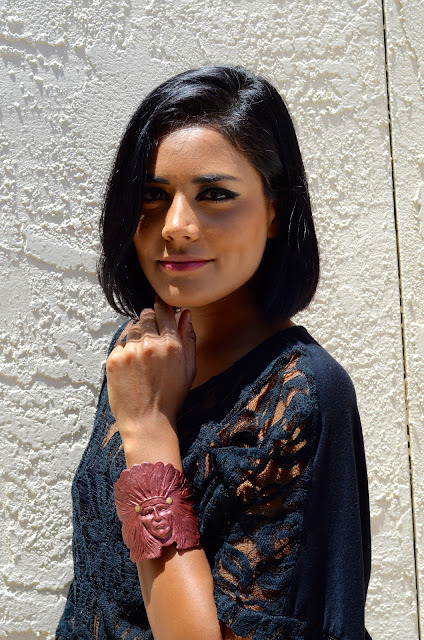 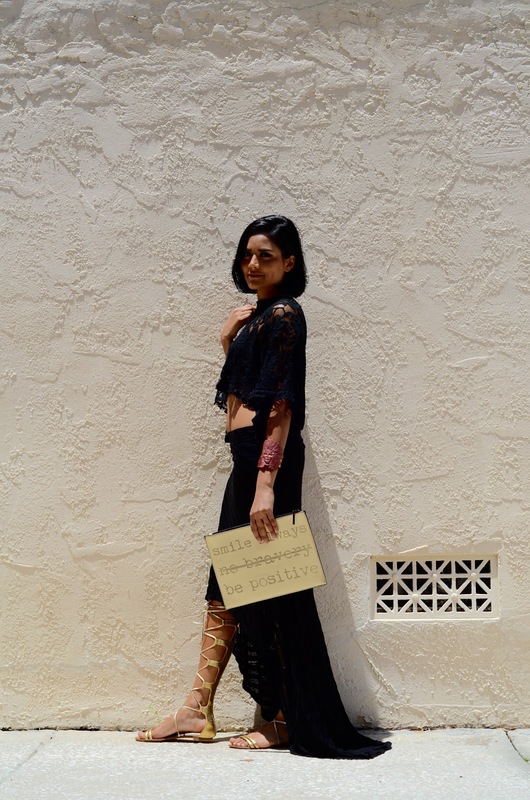 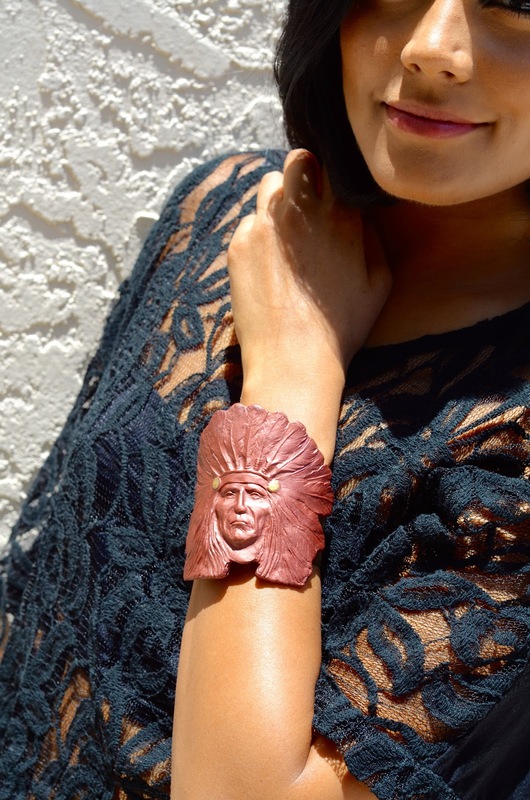 A parisian in America by Alpa R | Orlando Fashion Blogger: Indian Chief Anyone ? 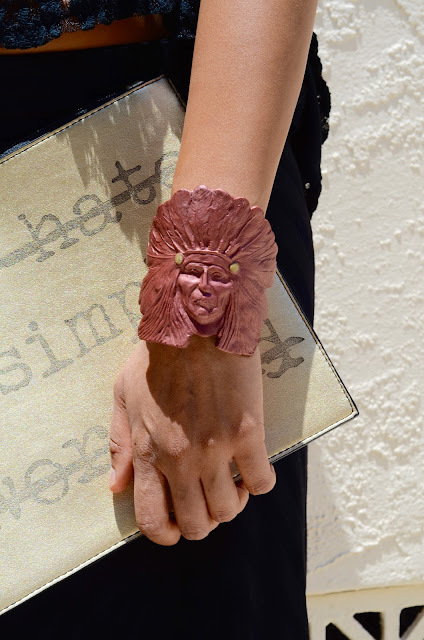 Bonjour my Beauties, I had the opportunity to style this fabulous Indian chief cuff from Chic Verte, a brand that uses natural material to make their jewelry, really cool concept. 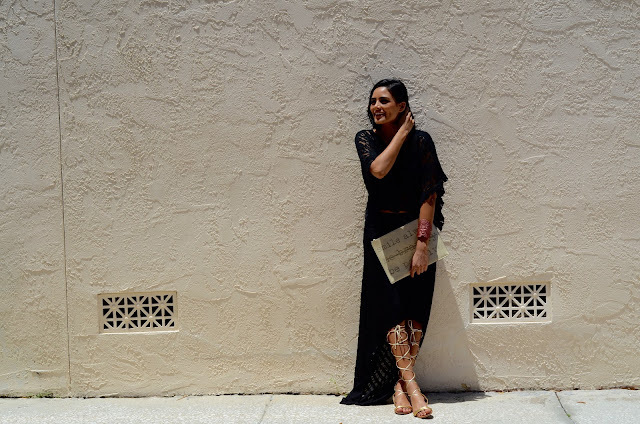 As you know I love statement accessories and this one is definitely one of them, I decided opt for a all black with a touch of gold outfit. 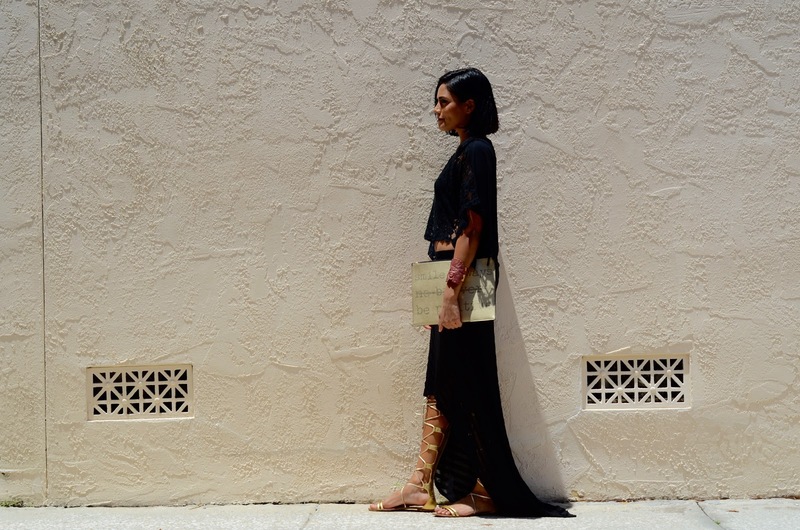 I am obsessed with black & gold combo, especially on tan skin, I think it's look fabulous.